Algeria was destined to become an African powerhouse. The largest country in the continent, it is populated by only 39 million people but endowed with huge natural resources: 159 trillion cubic feet (tcf) and 12.2 billion barrels of proven natural gas and oil reserves, respectively, and vast expanses of land, desert, and mountains. A country rich with such resources should not have a problem building a sustainable economy. However, corruption and a brutal civil war similar to the one going on in Syria transformed Algeria into Africa’s most disappointing state. How and why did such a promising country sink so low? The first reason is systemic corruption and gross mismanagement. Since independence, Algeria embraced a state-managed economy and political system. The government confiscated private land, nationalized natural resources and exerted a monopoly on economic institutions. By mid-1980s, the government was essentially bankrupt. To stimulate economic growth, President Chedli Ben Djedid liberalized the economy, privatized some economic sectors, returned some land to its original owners, and democratized the political system, allowing political parties to challenge the ruling party that had monopolized power since independence. In a series of elections that started in 1989 and continued through 1991, the Islamic Front for Salvation (FIS) won overwhelming majorities, which upset France—its former colonial occupier—and France’s Algerian allies, prompting the Algerian military to sideline the president, cancel the second round of elections (scheduled for early 1992), and establish a governing military junta. These actions started a 10-year intense civil war that killed an estimated 200,000 people and devastated the economy. When first elected in 1999, Abdelaziz Boutaflika issued an amnesty that encouraged some fighters to lay down their arms, but low-intensity confrontation continued until this day. On April 17, 2014, Algerians, perhaps still traumatized by the civil war, voted for a president who is too ill to deliver a single campaign speech let alone run the country. 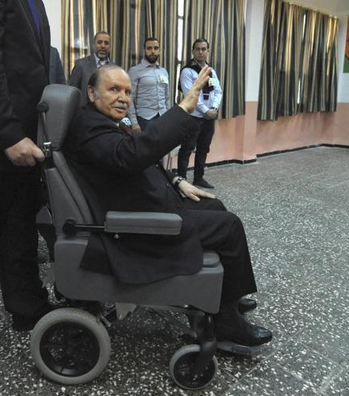 The scene of Bouteflika being wheeled into a polling station to cast his vote for himself as did 82% of eligible voters (unverifiable government figures) indicates that Algeria has lost hope and is clinging to the past. The psychology of Algerians voting for an ailing president may explain the desire of many Syrians to stick with President Bashar Assad. Although Assad is in much better health and control over a better military, governing during and after the civil war will be a herculean task for many reasons. First, Syria never had and never will have the natural resources Algeria has enjoyed. Second, unlike the Algerian rebel fighters who fought from the mountains, Syrian rebels occupied cities and towns turning civilian areas into war zones. Third, while Algerian rebels were Sunni Islamists fighting secular Sunni Muslims, Syrian rebels are extremist Sunnis fighting moderate Sunni Muslims, Shi`ites, Nusayris, Druze, Christians, and anyone else who is not on their side. The Algerian conflict was, to some extent, a national one. The conflict in Syria is a proxy war involving regional and global powers. 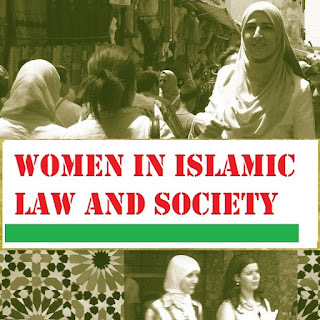 Moreover, the Syrian war has turned into a religious war authorized by the spiritual guides of the global Muslim Brotherhood movement, like Qaradawi, and of the fighting Salafi groups. Algeria was not declared “land of Jihad”; and Western powers did not join al-Qaeda in an effort to overthrow the government of Algeria the way they have been doing in Syria. Given these key differences, it is unlikely that the Syrian war will be shorter than the Algerian one. Ending Syria’s a war must involve more actors and more governments, an unlikely scenario at this time. This means that Syria’s war will likely last more than a decade, will kill more than 500,000 people, will displace more than 10 million people, and will cost at least one trillion dollars—a huge cost not only for Syria but for the world. This much we can project based on what we have learned from Algeria’s civil war. Preventing this from happening depends on all actors to change their calculus immediately and do all that is in their power to stop the war in Syria.